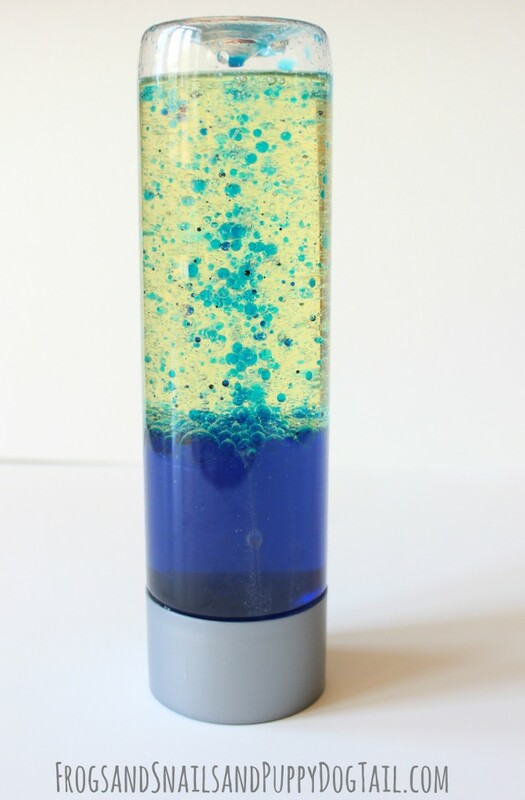 Did you have a lava lamp growing up? I did and I loved it. So relaxing to watch as the bubbles went up and down. 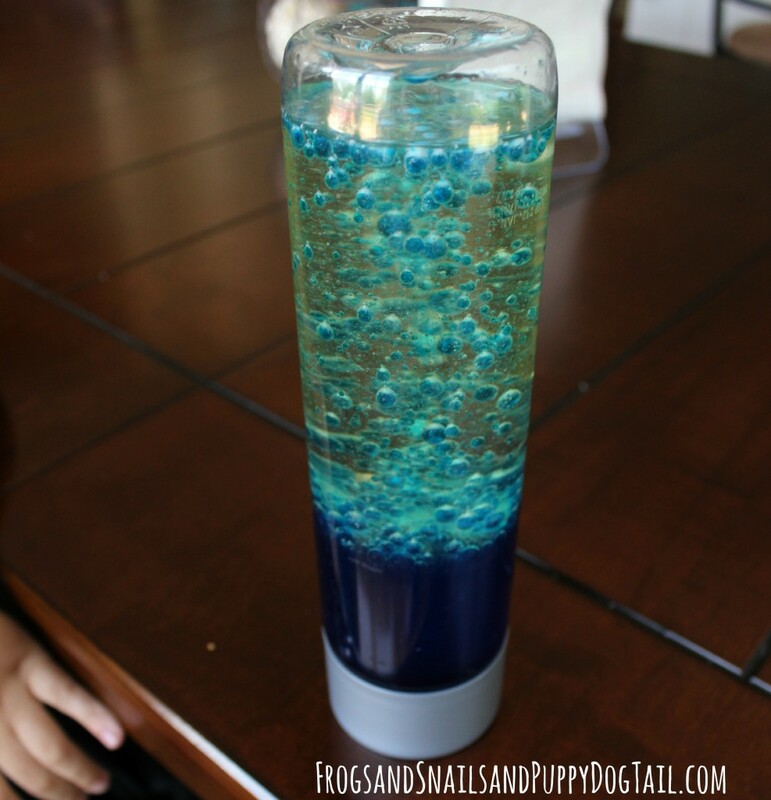 We decided to find out if we could make a lava lamp at home. The lava lamp experiment was perfect. We got to make our own lava lamp and learn what causes it to bubble as well. Having fun while learning is always a hit with my kids. Take the empty water bottle and fill with water. We drank the good water and filled the bottle with tap water for the experiment. Fill less than half way with water. Now fill the rest of the way with oil. 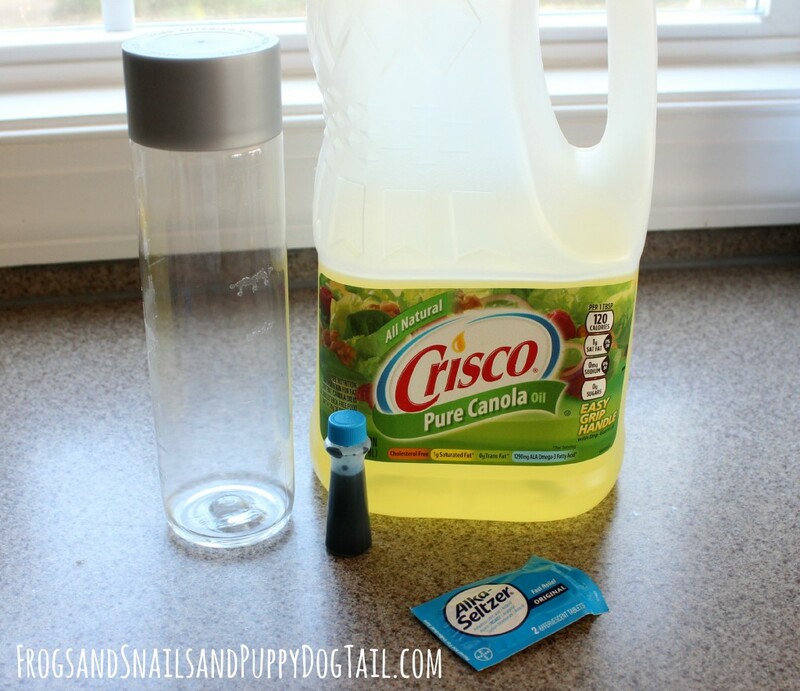 We used canola oil we had in the pantry and it worked great. Let the water and oil separate. Now add 12 drops of food coloring. 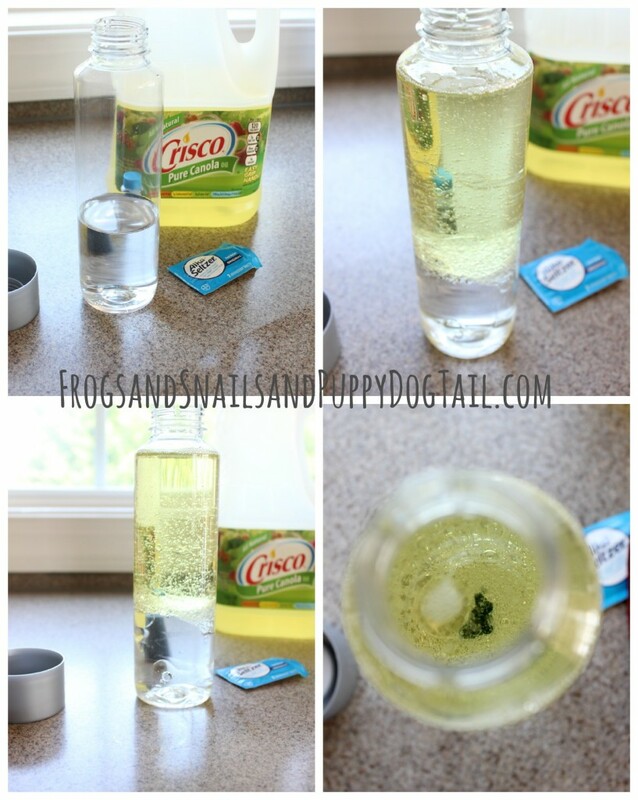 This is a great experiment in itself for the kids to see density in action. The oil floats to the top because it is less dense than the water. The water is more dense than the oil so it goes to the bottom of the bottle. Now for the lava lamp experiment. 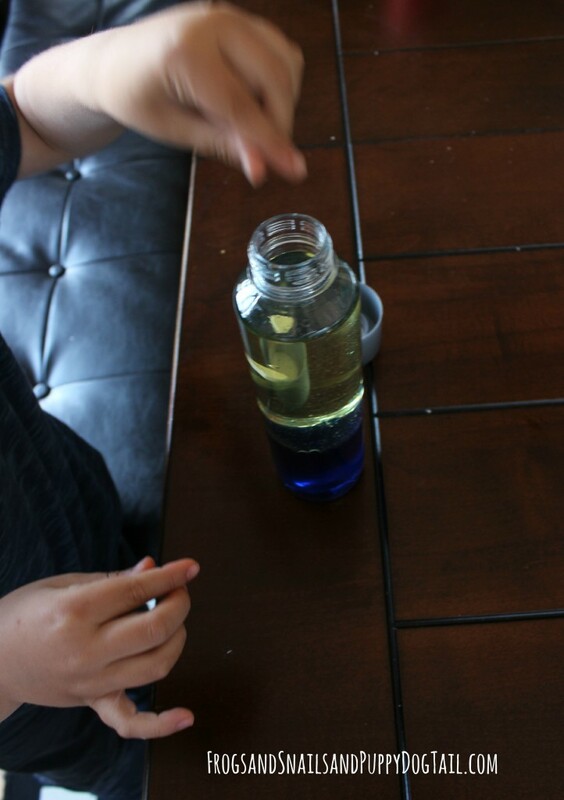 Have the kids place one -two broken pieces of the alka seltzer in the bottle. We turned ours upside down but this is not necessary. Now watch as the bubbles float up and down. The rising bubbles are from the alka seltzer releasing carbon dioxide gas. This makes the water and food coloring move up. When the gas escapes the bubbles go back down. Learn more here at Science Kids about the process. So when you want the “lava” to flow again you just another bit of alka seltzer tablet? Or does the first few pieces make it flow forever? Super neat idea though! We are excited to try it this week!